surely as different as chalk and cheese? There is always a fear when you commit yourself to print that you will make some fundamental error which will immediately be seized on by those who have a specialised and profound interest in the subject. 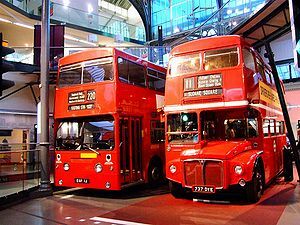 I remember getting very angry when some silly scribe got the distinction between Routemaster and Daimler Fleetline confused; "How could anyone be so ill informed? ", I raged. Of course, I have long since learnt that there are some things, very precious to me, that others regard as being of monumental unimportance. 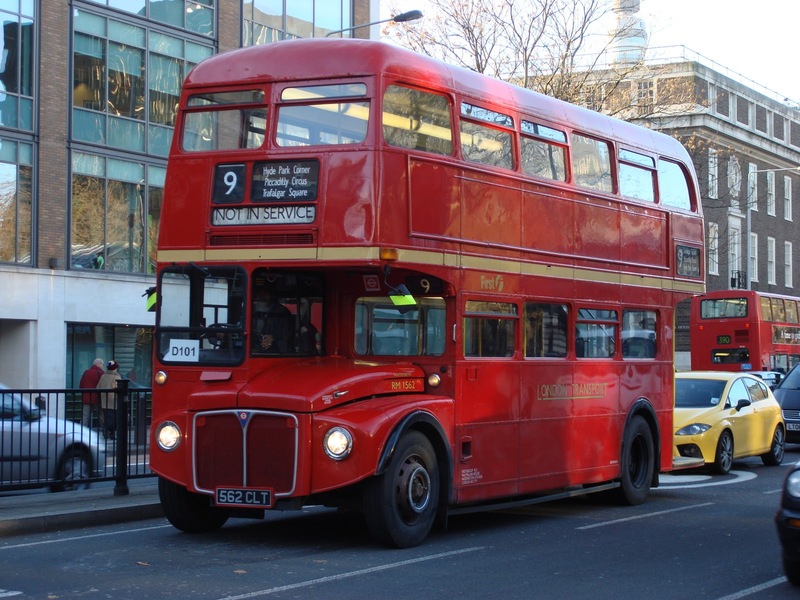 I hate to say it, but where I see Leylands, Volvos, C42Fs and H43/39Rs, Wright, Duple, Plaxton or Alexander bodies, others merely see buses. So I have to accept that whenever someone whose interest in road passenger transport vehicles is less intense than mine mentions the subject, it is the thought behind the words rather than the black and white facts which matter most. It is difficult to maintain such quietude when you read opinions which are plainly founded on ignorance. 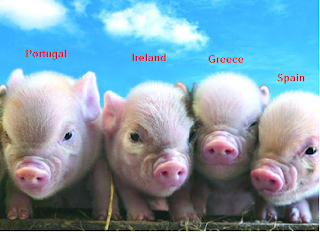 A letter to the Bangkok Post last week was vitriolic in its criticism of a cartoonist who had drawn a map of Europe with the initial letters of the countries Portugal, Ireland, Greece and Spain so organised as to spell out the word PIGS. "How Rude! ", screeched the ill-educated epistler, "These countries have noble and honourable histories, theirs are among the great civilisations of the world. And your cartoonist ignorantly refers to them as pigs!" Oh, the ignorance of the man. Does he only read cartoons? A cursory glance at the news pages for the past year would have assured him that the acronym PIGS has become universally accepted as standing for those countries whose finances are in such a dire strait that they are threatening to bankrupt the whole of the Eurozone. So with all this in mind, I have been agonising long and hard over a review I have had to write on a new CD featuring the music of Tan Dun. Much as I like a lot of what he has written, The Martial Arts Trilogy is, for me, utterly dire. It seems to be a simple regurgitation of tracks from three movies without any coherent theme. Yes, his publishers refer to it as being concerned with "Love. Betrayal. Death. Revenge. Resurrection", but, frankly I don't hear it in the music. All I hear is the aimless meanderings which are what most film music is when divorced from the onscreen visuals. On top of that, a gratuitous piece of pandering to the mass public by adding a pop track sung (if that's the right word, which I doubt) by CoCo Lee, renders the whole project pointless so far as a critic is concerned. Ms Lee's fans will assume that I am a pig-ignorant gweilo if I suggest that she is anything other than fantastic, and those who look to a critic to give them a closely reasoned and objective report, will consider I am punching outside my weight if I begin to suggest she is anything other than a miserable failure as a singer. 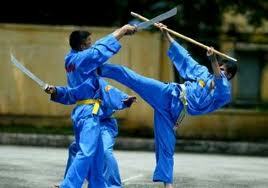 This is my percpetion of Martial Arts. Is it wrong? But my real problem is the title. Dare I say that, for me, Martial Arts is all about kicking, posturing and ceremonial fighting? If I buy a CD called The Martial Arts Trilogy I expect something aggressive, energetic and reasonably vivid. What I get here is wall-to-wall mood music which exudes utter and total stasis. I'd love to tell the readership that, but I dare not for fear of having my ignorance exposed by those who have as passionate an interest in the Martial Arts as I have in Road Passenger Transport Vehicles. "But my real problem is the title. Dare I say that, for me, Martial Arts is all about kicking, posturing and ceremonial fighting? " Translation is a skill I never mastered. I'll try to explain a little bit. The cover text of "Martial Arts" is clearly a misinterpretation of what it originally means in Chinese. Tan Dun's Chinese title for the trilogy is 武侠. "Martial arts" only covers the first Chinese character. The second character in Chinese could be seen as knighthood. Hi Vincent. That is interesting, but I have not seen anywhere the title in Chinese characters. Where is it given so that I can chase this one up with the record company? It was part of the World EXPO 2010 program. Word by word translation of the title should be "martial arts chivalry trilogy"